World Supersport stars Sam Lowes and James Ellison will be racing at this weekend’s Buildbase Race of the Year at Mallory Park on Saturday and Sunday 25th and 26th June. After a two-year absence the famous Race of the Year, won by some of the greats in motorcycle racing, is making a welcome return. WSB factory Kawasaki rider Tom Sykes won the last race in 2008 but for 2011 a £20,000 prize fund is attracting some of the best racers in the world. Sam Lowes is the Parkalgar Honda World Supersport racer and 2010 British Supersport champion from nearby Lincoln who in his rookie year is turning heads with fast podium and race challenging performances. James Ellison is a former World Endurance Champion and British Superbike Championship runner up, and is now racing for Bogdanka PTR Honda in World Supersport. The two World championship competitors face tough competition at Mallory from some of the best racers in the UK. The current on-form team in the British Supersport Championship is Oxford Tag Triumph fresh from a double victory at Thruxton and it has entered a five man squad for the big race, headed by race winners Paul Young & Billy McConnell and backed up by team mates Christian Iddon, Martin Glossop and Shaun Winfield. 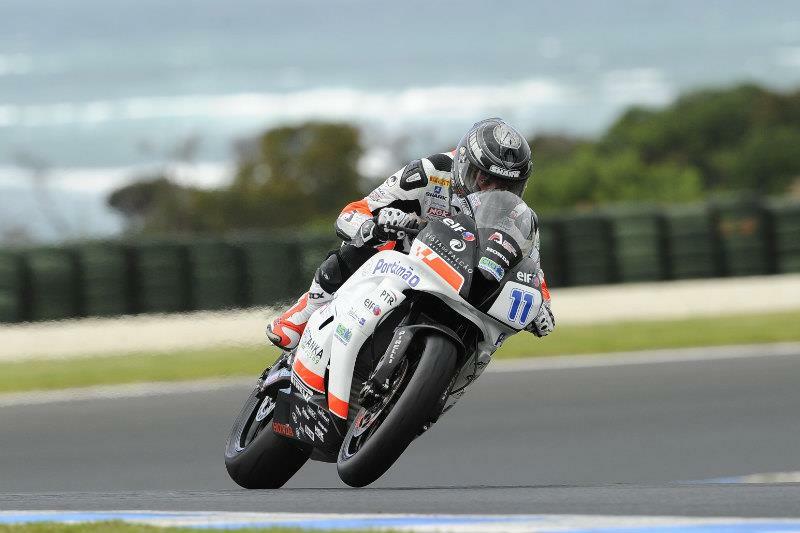 This slickly turned-out team isn’t afraid of the challenge and is very keen to take the fight to the World Championship riders at its home circuit. The best of the Thundersport GB GP1 class riders are all capable of threatening the lap record and contesting for the podium places too. Phil Crowe (BMW), Peter Baker (Suzuki), John Ingram (BMW) and Alex Heaton (Ducati) can all lap consistently in the 52 second bracket and given the big occasion, those extra few tenths of a second could well be attainable and provide us with a surprise result. The grid has deliberately been restricted to just 28 riders who have already attained sub-54 second lap times under race conditions, so the 22-lap race should be a straight fight to the chequered flag without any lapped traffic for the leaders to deal with. The very tight and technical nature of Mallory Park means that the top level Supersport machines could be more than a match for the larger capacity Superbikes and the Race of the Year is one of the very few times they actually go head to head in the same race. Both Sam Lowes and James Ellison are confident that the 1000cc riders are in for a really tough time against their more nimble 600cc machines. And whoever wins the Race of the Year outright, whether on a Supersport or Superbike, will also take a £3000 overall prize so you can be sure the race will be hard fought for right to the chequered flag. Mallory Park Managing Director John Ward said: “Having two World championship racers take part in the Buildbase Race of the Year is fantastic for us – these are big names on some of the best race bikes in the World. They are also excellent targets for the UK-based racers who will be taking part to aim to beat if they can. Take one of their scalps and it will be a fast track in your racing career. “We are delighted to have The Race of the Year back at Mallory and there will be a full two-days of racing and on track action to keep bike fans entertained. Thundersport GB will be supplying the support card, including the exciting Superteens where the stars of the future will be taking part. Tickets for The Buildbase Race of the Year cost £23 in advance (£26 on the gate) for both days or £11 in advance (£13 on the day) for Saturday practice and qualifying and £13 in advance (£15 on the day) for race day Sunday, June 26. Reading down the list of names on the historic trophy is like reading a “Who’s Who” of motorcycle racing history. Previous winners include all of the above names plus John Surtees, Bob McIntyre, Phil Read, Steve Baker and Graeme Crosby. Giacomo Agostini has won twice, in 1966 & 1969 when he was at the height of his considerable powers and the magnificent “Flying Finn” Jarno Saarinen beat allcomers on his little 350cc Yamaha in 1972, the year in which he won the 250cc World Championship and was runner up in the 350cc World Championship. The great John Cooper won three times and this achievement is set apart from all others by the fact that he did so on three different makes & types of machine, a 350cc Yamsel, a 500cc Norton and a 750cc BSA. The undisputed King though must be Mike Hailwood who won this prestigious title no less than five times between 1960 and 1968. More recent winners from modern times include Rob McElnea, Jamie Whitham, Terry Rymer, John Reynolds, Chris Walker, Michael Rutter, Steve Plater, Glen Richards and the current holder Tom Sykes (2008). The race has had a two-year absence from the calendar whilst Mallory Park concentrated on finding a suitable slot in the calendar to do justice to such a historic event, but now it is back with a prime mid-summer slot. This isn’t the first time there has been a break in the history, from 1982 – 1985 there was no running of the event and again in 1993 the race was missing from the calendar. Ellison to join Parkalgar Honda in WSS?